Have you been reading about the next new disruptive technology? Are you seeing the interruption of entire industries? Are you worried that a new innovation will bring major changes to your business model? Such concerns are not an unfounded one and there are increasingly more businesses feeling the impact of disruption. 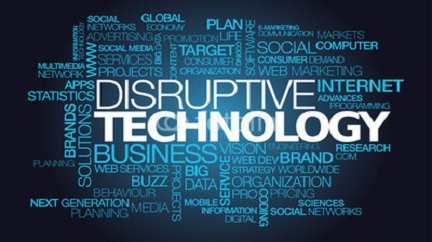 Disruptive innovations are the products or services that surpass the existing dominant technology, products and services by filling gaps left by the former technology. This involves providing lower price points and new capabilities. Professor Clayton M. Christensen of Harvard Business School describes a sustaining technology as one that is capable of improving the performance or quality of the existing technologies. The main difference between sustaining technologies and disruptive technologies is that sustaining technologies are apparent in the market, whereas disruptive technologies cannot be easily planned for since they originate from other development channels. Although it’s impossible to stay updated with all technical advancements that occur in your industry, there are steps you can take to ensure you stay prepared for any disruption in the market. Most entrepreneurs might assume that it’s something obvious, but your eyes and ears should stay open on what’s going on in your industry. Consider the different parts of the market globally and don’t just focus on your own niche. Have your finger on the pulse of developments that might affect your routine business operations. Their feedback likely contains the key to the changes and improvements to your products and service delivery that will unlock value that disruptive innovation will otherwise exploit. If you fail to pay attention to their suggestions, you’ll be shocked to find that someone else has adopted them. Have them come up with cheaper, faster or more efficient ways of serving your customers and the need for them to stay open to new innovations. The best way to protect your business from disruptive technology is by constantly improving your products and service delivery; such that you leave little room for other entrepreneurs to capitalise. In most cases, disruptive technologies offer new capabilities in a way traditional technologies cannot and there’s no specific way to prepare for these innovations. However, you have the ability to control how you react to them and if there is something unique the technology can offer to your customers, then you should partner with the innovators. If the disruptive technology brings competition to your industry, then you should come up with ways of improving your products or services to match what disruptive players are offering. Adam Gibson is a global leader in Workforce Planning, creator of the Agile Workforce Planning methodology and a popular keynote speaker. Having successfully implemented and transformed workforce planning and people analytics in businesses across both the public and private sector, he advises company executives in creating a sustainable workforce that increases productivity and reduces cost. 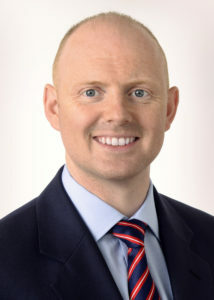 He is the Executive Director of Strategic Workforce Planning at Capita, a multinational company of 70,000 staff, and he is at the forefront of efforts to simplify the business and strengthen their market position. In addition, Adam is the Director of Agile Workforce Planning Ltd and the Strategic Partner of the Cabinet Office in Workforce Planning.